19 of the world’s 24 albatross species are endangered. 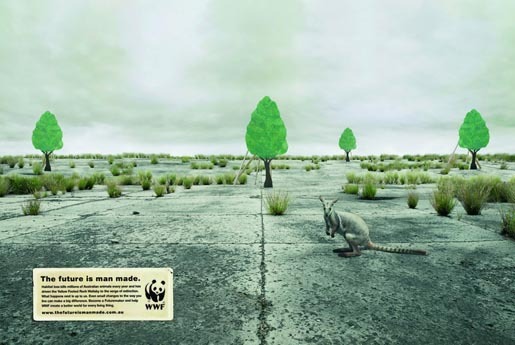 The yellow-footed rock wallaby is on the verge of extinction in Australia. All 6 species of sea turtles in Australian waters are endangered. 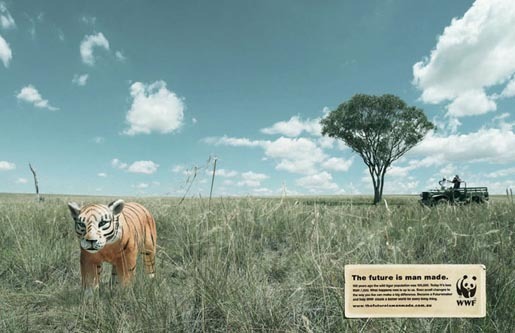 100 years ago the wild tiger population was 100,000. 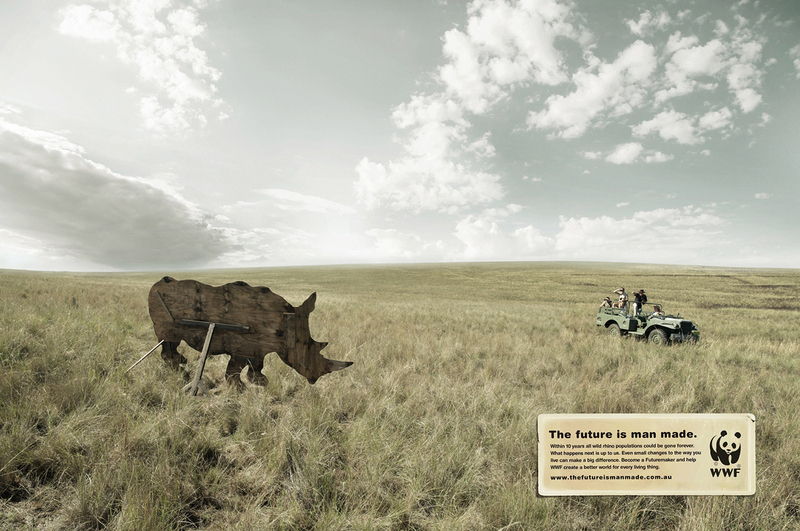 Today it’s less that 7,000. 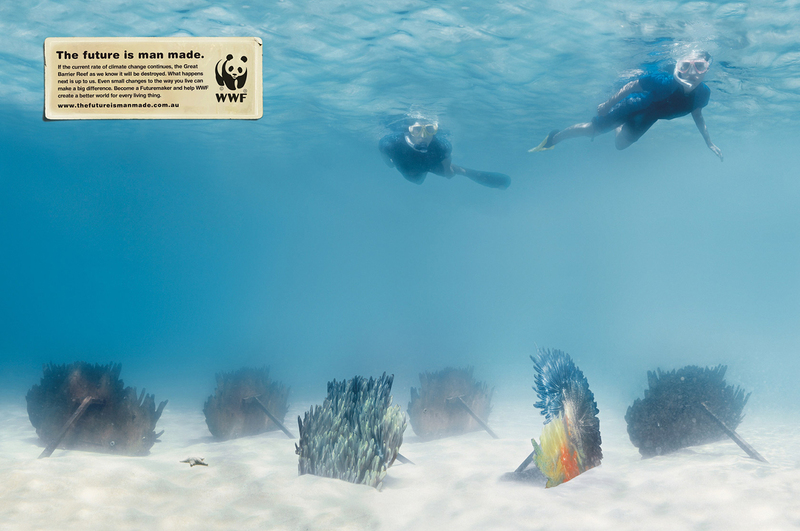 If the current rate of climate change continues the Great Barrier Reef as we know it will be destroyed. 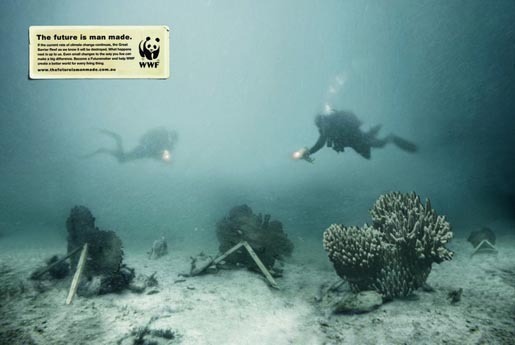 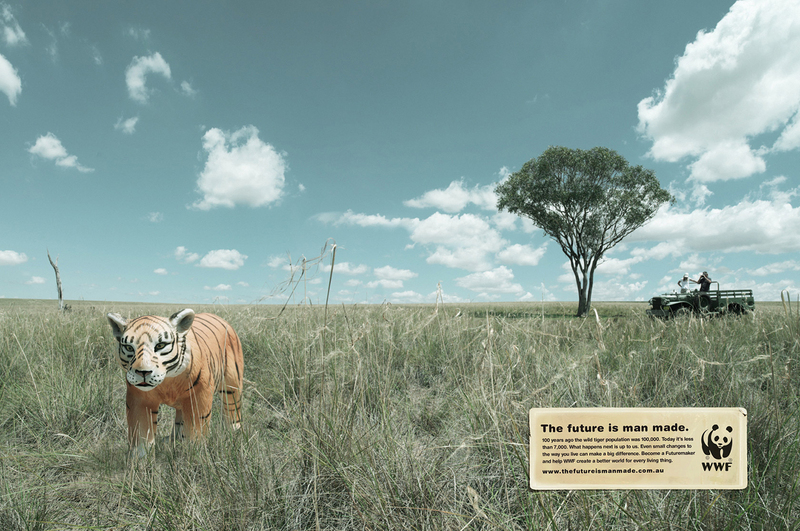 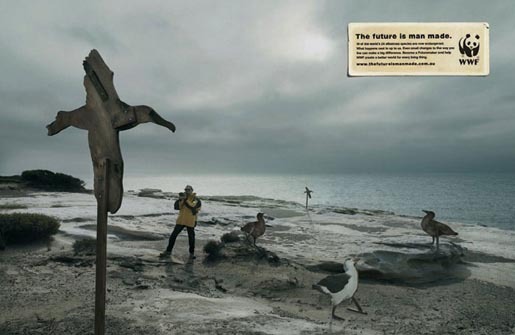 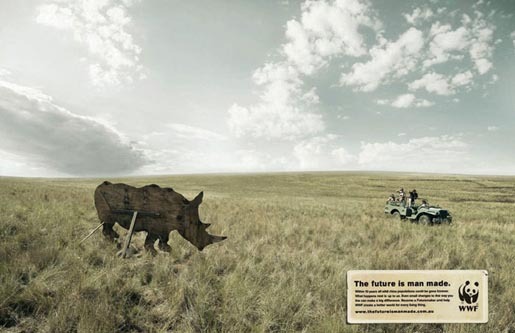 The “Future is Manmade” campaign was developed at Leo Burnett, Sydney, by creative director Mark Collis, art director/copywriter Grant McAloon, and photographed by Andreas Smetana. 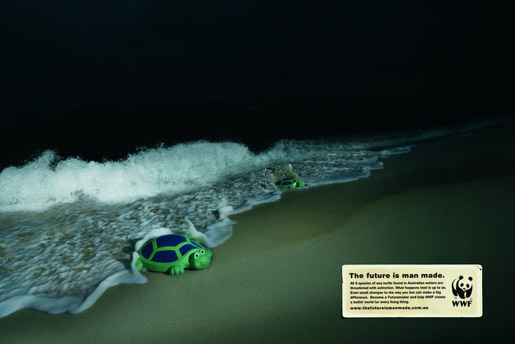 Nike Asks Socceroos Or Soccer Whos?